MAFEKING (CGH) MR 13 13 tying TVL KE7 1d (10), 2d to converted with str. blue line MAFEKING reg. 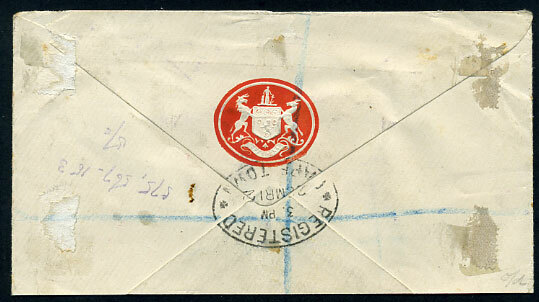 foolscap GPO cover to Vienna, Austria. 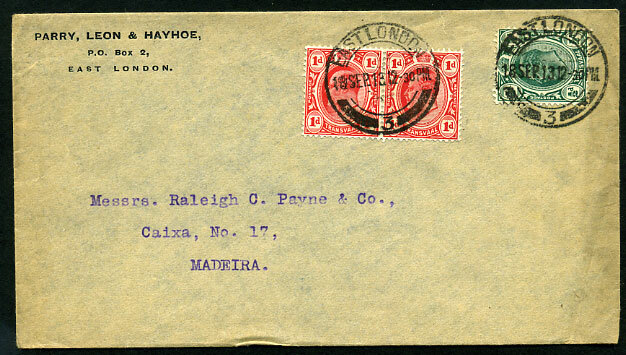 Fine interprovincial item. Scanned from colour photocopies at 90% actual size. 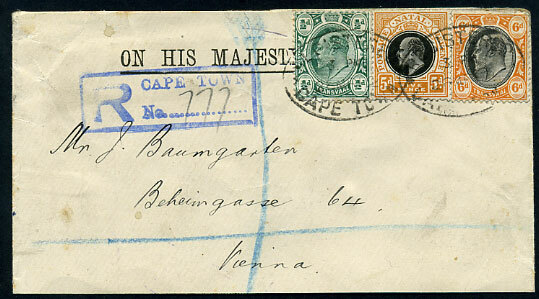 envelope with Natal KE7 5d, Transvaal KE7 ½d, 6d pmkd Cape Town reg ovals dated 28 MR 12 to Vienna, hinge remains on reverse. 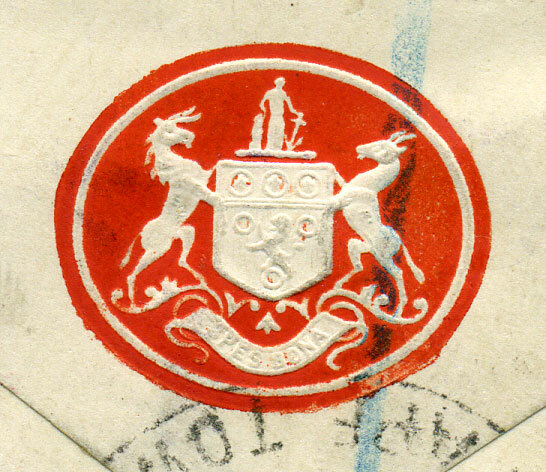 Note: not the Lion and Unicorn Royal Arms, this appears more Armorial or Heraldic. 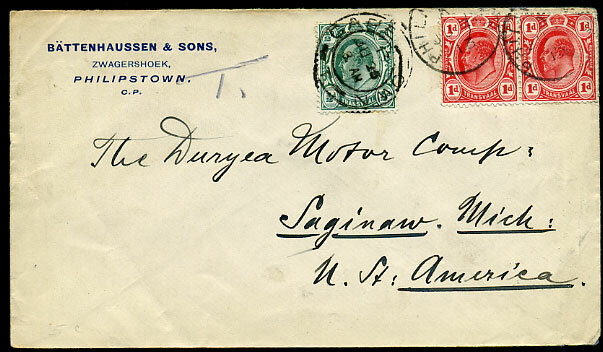 cover with pair Transvaal KE7 1d tied PHILIPSTOWN A/JU 21 13 cds, pencilled T with further KE7 ½d added and tied CAPE TOWN JU 25 13.
with TVL KE7 2½d rate tied East London (CGH) 18 SEP 13 d/rings, Funchal 2 OUT 13 b/stamp, slightly soiled at right.